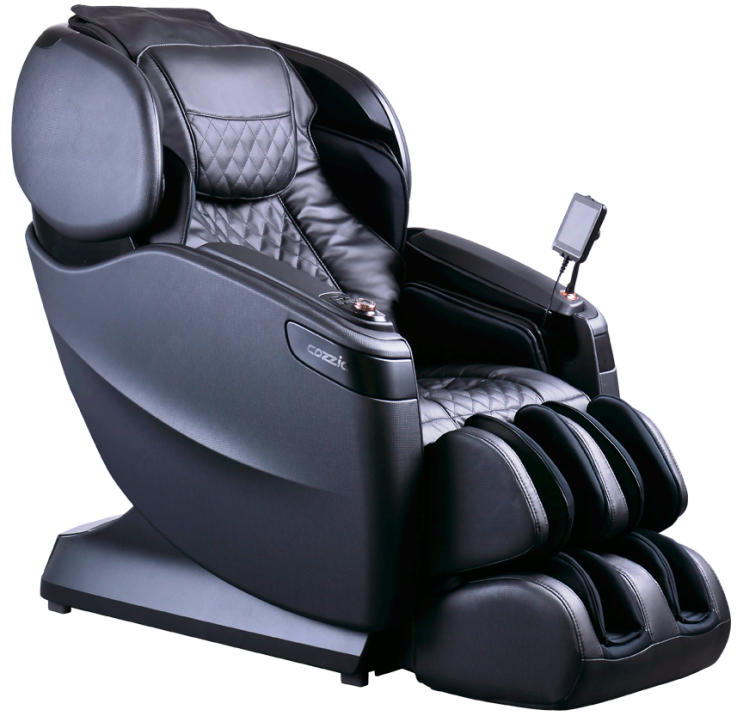 Cozzia USA, a supplier of robotic massage technology, announced that it is unveiling the newest Qi SE massage chair. The Qi SE was designed to imitate a full body massage experience that reaches more spots than any other modern models. Cozzia delivered superior products in the past. The Qi SE promise to provide a superior massage and cover every part of the person's body to promote rejuvenation and circulation. “Cozzia is extremely excited about launching the Qi SE at the upcoming April market,” says Bob Bruns, President of Cozzia USA. “This chair will change the landscape of the massag chair market in the US”. The Qi SE will be shown for the first time at the High Point Furniture Market (Furniture Plaza 515). The Cozzia Qi SE massage chair will be the first 4D L-Track in the Cozzia lineup. With an L-Track design the Qi SE is able to massage the entire length of your back, from your neck down to under your glutes. To create the full body massage experience, the Qi SE has a customizable complete leg massage - in addition to sole rollers and foot and calf compression, the Qi SE has heated knee compression massage that is adjustable to massage the upper calf as well. To utilize and intensify the benefits of Chromotherapy, the Qi SE has upgraded mood lighting that we call “Chromotherapy 2.0”. This LED lighting that is positioned in the headrest of the Qi SE provides color therapy through patterns of varying colors. The Qi SE also features rollers that are equipped with heat so that the user can have precise heat therapy in the spot they need it most. Other features of the Qi SE include: a touch pad remote control, bluetooth speakers for playing music, 60 airbags for full body air compression, the ability to create and save a custom program, and the zero gravity position. The Qi SE features rich styling with beautiful stitching and a very comfortable feel to the plush seat. To operate the chair you have the Cozzia touchpad with all of the functions easily accessible right on the screen for easy navigation through the various programs and adjustments. The chair will give you the option to create and save your various preferences to get you to relaxation in seconds. Most chairs will require you to manually adjust the chair, making the quick one touch access a great function to have. In addition to the 4D L-Track technology, Cozzia’s newest chair can deliver a full body massage using 60 airbags, customizable leg massage that includes foot and calf compression, heated knee compression massage that’s adjustable to the upper calf and sole rollers. Heated rollers offer spot-specific heat therapy. This newest chair offers Chromatherapy 2.0, an upgraded LED light positioned in the headrest to provide color therapy through patterns of varying colors. Other features include a zero-gravity position, touch pad remote control, Bluetooth-enabled speakers, and the ability to create and save custom program. The Qi SE retails for $6,999 and will be available at select retailers in four color variations. It has the design aesthetics and profile of the Qi, which launched last year, and is a scaled down version without the Qi’s signature Chair Doctor technology of 4D body scanning and tension score feedback.